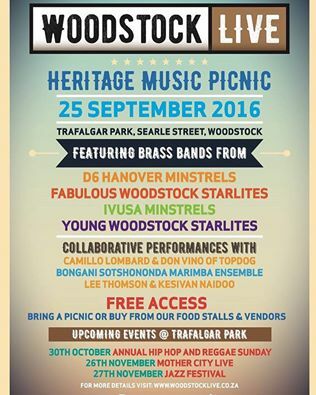 HERITAGE DAY 2016 – I have written extensively about our indigene roots in previous posts. Here I want to focus on another dimension of our heritage that receives less attention in public discourse. On Heritage Day 2016 Camissapeople Blogsite has joined in a partnership with THE KAGGEN MUSIC & CULTURE TRUST so that together we can bring and foster greater understanding of our hidden history and heritage. You are able to link through to the trust by clicking on its icon. 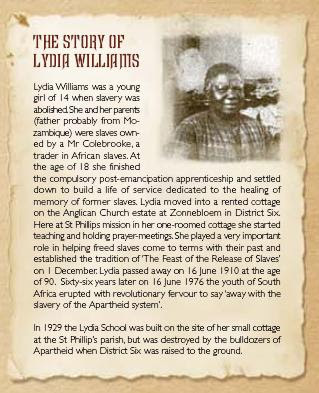 Lydia Williams was born to Mazbieker slave parents and was 14 years old when emancipation from slavery was declared. 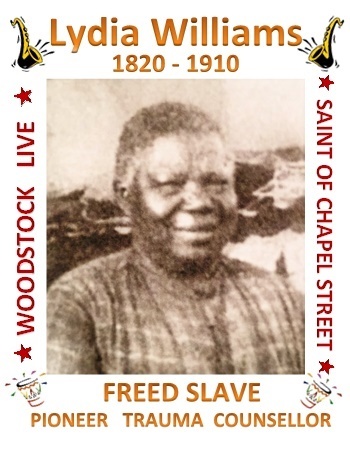 She associated with St Phillips Anglican Church in Chapel Street and with the Cowley fathers and dedicated herself to counseling the many traumatised freed slaves over the rest of her life. She died at the age of 90 at her little home and prayer centre which like everything else in District Six was demolished. In proceeding let me first say that the best way in which we can celebrate heritage day is to end our pre-occupation with race, colour and ethnicity as pseudo reference-points for identity and to replace this focus with a heritage-experience focus in South Africa and move towards celebrating the ties that bind us. It is about time that the race-paradigm of silos of black, white, and coloured are put behind us. The narrow South Africa segregated ethnic notion of Indian likewise does not reflect the full spectrum of Asian heritage. All of these do not speak of heritage and are fundamental pillars of Apartheid which still govern our society in so many ways. In saying this, less there be any misinterpretation, I am certainly not saying that we should bury our heads in the sand about the vicious racism in our history, the deeply painful experiences of all people of colour, and our valiant resistance which is also our heritage of rising above adversity. This memory however, must be fashioned into a tool that ensures these aberrations never happen again. In the 21st century, for many, there remains the reality of ‘black lives’, meaning ‘the black experience’ – a global experience and, the lives of people of colour still does not matter to many of our white fellow human beings. But this is no justification for perpetuating the pseudo-science of race, concepts of race-purity, race silos and the continuation of embedding the concept of race as a holy grail in our minds. None but ourselves can free our minds. Afro-Europeans have many sub-cultures based on a combination of European lineages – Dutch, British, French, German etc, and a variety experiences of being born and brought up in Africa over generations. Afro-Asians also have had different experiences of Africa over generations mixed with lineages going back to India, Bangladesh, China, Sri Lanka, Pakistan, and an array of Southeast Asian countries. This is heritage and not race and, it is within the creolisation experiences between all of these cultures that the South African tapestry emerges and, whereby we can celebrate our unity in diversity – as expressed on our national coat of arms. Ours is a complex modern society and nowhere on this planet has any good come of trying to suppress heritage – it is something to be celebrated. We cannot turn back the clock and, to borrow a distasteful expression – to ethnically purify our past. Indeed none of the modern social constructs in South Africa – and all are born in the modern era, are without the coming together of different streams. Variation in cultural heritage is enhancing and challenges us human beings to understand each other and the many dimensions that make up human complexity in all its beauty. No part of the whole can be cut off and discarded without injury to humankind. In highlighting this fundamental truth about our society, where I sincerely believe that if we do not embrace it and jettison the race-silo nonsense and narrow ethnic-identity nonsense, my message is that we will never overthrow the racist monster which consumes us. On this heritage day I want to caution against the twin of race division – an equally dangerous monster threatening to devour us. This is the misguided romanticism and championing of ethnic and tribal nationalism which has become more and more vogue over these unfortunate ‘Jacob Zuma years’ and has brought back some of the worst features of the Apartheid Bantustan era. I particularly caution those of us who celebrate our proud heritage of Khoena and San indigene culture, and those who celebrate our Camissa roots. I do believe that we can and should celebrate this precious heritage of ours, but without entertaining narrow ethnic and tribal nationalism. Along with this pernicious deviation, the Apartheid notion of ‘PURITY OF GROUP’ has again also become vogue. Most absurdly some even talk of being ‘Pure Coloured’ or ‘Pure Bruines’ and sound alarm bells about ‘CONTAMINATION’ and thus pit themselves against others. We can and must reject this approach as being equally destructive to our heritage as colonialism was and those who go down this root are courting further disaster for our heritage for the illusion of short-term gains. Having said this – today I have chosen to celebrate heritage day to highlight as passionately as I do about our indigene Khoena and San roots – our other roots of ‘THE MIGRANTS OF COLOUR WHO CROSSED OUR SHORELINE FRONTIER UNDER FORCE SOMETIMES AND SOMETIMES VOLUNTARILY’. This is a huge part of who we are and to deny this past or to cut this aspect of our heritage off from ourselves will condemn us to perpetually question ourselves because the spirit and culture of these ancestors are deep within us, and manifest in so many ways. I here not only talk of the slaves forced to come to our shores from other parts of Africa, India, Sri-Lanka, Pakistan, Bangladesh, Southeast Asia and China. I am also talking about those who were called the Mardijkers, the Peranakans, the Saints, the Manillas, the Mazbiekers, the Prize Slaves, the Indentures, the Kroomen, the Siddis, the Oromo, passengers of colour, the black diaspora from the US and the Caribbean – all of whom made their homes in the Cape before the 1910 Act of the Union of South Africa. Most are very ignorant of how big a part of our heritage and identity these tributaries and the numerical significance of the infusion of these tributaries. The original Cape indigene population of over 100 000 had through a process of forced removal, war, genocide and to a much lesser extent, imported disease, been killed and chased out of the Cape Colony by the end of the 18th century to the north western frontier territories of the Gariep where they had to regroup under very difficult circumstances and integrated often with others. In 1805 the surviving Khoena in the colony, integrated with now grown San children who survived their parents extermination at the hands of commandos, and also with slaves of various origins were now referred to as the ‘Hottentot-Baster’ population and were only 20 000 strong in the census. Devastatingly colonial expansion through force of arms and ethnic cleansing had removed over 80 000 people by killing or by driving them from their traditional lands. Their rich herds of livestock generally regarded to have been in the region of 10 head of cattle to one person and twice as many sheep were stolen along with their grazing grounds. Along with this clearing process, the Europeans forcibly brought into the Cape over the same period until 1807, a recorded 63 000 slaves, probably much more unrecorded. Then from 1807 to 1856 around 12 000 more prize slaves also probably more unrecorded. During the same period various other migrations of people of colour occurred, further increasing these figures by a probable 15 000 plus. This was followed post 1856 by various other migrations of people of colour going into many thousands. The vast majority of these migrants came from the African continent. This migration far outstripped European migration (even that of the 1820 settlers), in the same period and it clearly impacted dramatically on the people of colour in the Cape Colony and later the Natal Colony with spill-over into the Orange Free State and Transvaal Republic. This is as much an important part of the ancestral and cultural heritage of all people of colour as is that part of our heritage represented by our Indigene forebears. Indeed it was a vital component to the survival of Cape Indigenes that they embraced the migrants of colour, and important to the mental survival of the migrants that they in return embraced the Cape Indigenes. This discussion in all its variant cameos is, to use a new popular term, the ‘MISSING MIDDLE’ in our story and getting to know this part of our ancestral continuum would certainly cause us to want to halt in our tracks on these dubious roads that some are trying to lead us down – in embracing Ethno-Nationalism. The story is too long to handle in this short piece so I will just have to set aside going down too many cameo stories and stick to the main descriptions of the different migrant groupings. I encourage all to delve into their family trees and into the histories of each of these tributaries to our heritage make-up. From before the time of Jan van Riebeeck and through the colonial years Mardijkers from Ambon and other sailors, soldiers, adventurers and economic migrants of colour who were then called ‘Free Blacks’ and largely came from Asia and other parts of Africa also voluntarily crossed the shoreline-frontier. These too became a tributary into our heritage. The year 1652 was not a magical date for engagement between our indigene forebears and external visitors including the Europeans. In the 52 years prior to van Riebeecks arrival over 1071 ships dropped anchor and more than 215 000 visitors passed through Table Bay. Like in all ports there was certainly human interaction and children were born from relationships of various sorts. From 1488 until 1600 there were also visitations. Prior to this indicators exist to show Phoenician and Indonesian visitations hundreds of years previously and Chinese visitations at least by 1421. Our heritage is not as cut and dried as some believe. (a word of caution however – recognition of this interaction does not mean support for supremacist ideas that attribute all signs of ‘civilisation’ in Africa being brought here by superior Dravidians or others). Because of the huge impact of the Europeans, particularly the Dutch, across East Asia, and the wars they waged, they found it convenient to use the Cape of Good Hope as a place of banishment and punishment particularly for resisters and convicts. Two groups of resisters were targeted in the main. These were the Indonesian Muslim religious leaders and the Peranakan Chinese resisters from Batavia where the Dutch had carried out a huge massacre of middle-class creole Chinese. These exiles made a huge impact on our heritage. For instance the Indonesian exiles through their missionary work among local slaves laid the foundations of today’s Muslim community in South Africa. St Helena Island shares a long history with South Africa through connections that go back to the 1620s. Like the Cape Colony the majority of its population were made up of slaves and indentured labour, alongside the European settlers – mainly English. There were no indigenes on the island. The slaves and indentured workers were from Africa, India, Southeast Asia and many from China. Significant numbers of St Helenians first came as part of the English armed forces in the two invasions at the end of the 18th century and beginning of the 19th century. Then later in the last decades of the 19th century and into the 20th century over a period of time the Saints, as they were to become known, came to the Cape and Natal as indentured labour. Many families share a heritage with the Saints. The Mazbieker heritage stands out as the least talked about element of our heritage, yet it is one of the strongest in our lineages affecting many more people than want to acknowledge it. Mazbiekers flowed across our shoreline frontier into the embrace of Camissa both as slaves and as indentured labourers from the 1780s well into the 1880s. These were slaves and indentured labourers who came to the Cape largely as agricultural labour in the rural areas of the Colony and as dock-labour. They came via Mozambique – thus the name Mazbieker, but these included Mozambicans, Malawians, Zimbabweans, Zambians, Tanzanians as well as people from the norther areas of KZN. They integrated with other slaves and with surviving Khoena and San. Communities in the Swartland, Paarl, Worcester, the Karoo, Overberg today labelled ‘Coloured’ have as part of their heritage – a strong Mazbieker infusion. So do many of those in Cape Town where Mazbieker influence was strong in District Six and Bokaap and across the Cape Flats. Mazbiekers were used extensively for the most back-breaking work in public works and the docks. Another large infusion of African people in our heritage in the Cape were those called ‘Liberated Slaves’ or ‘Prize Slaves’ also called ‘Prize boys and girls’. These were both West African and East African slaves seized by the Royal Navy after the abolition of slavery from slave-trader ships on the high seas. The ‘Prize Slaves’ were then taken to Royal Navy bases at St Helena, Zanzibar, Aden and of course Simonstown. Among these were also slaves who survived shipwrecks on our coast at Woodstock and Clifton. ‘Prize Slaves’ were not really liberated if they were brought to the Cape. Here they were forced to undergo a 14 year indentured labour period which most often lasted much longer than slavery did, into the 1870s, and was no different to slavery. The ‘Prize Slaves’ are also part of our family trees. Long after 1856 when most of the last ‘Prize Slaves’ were brought to the Cape an event occurred that was linked to the ‘Prize Slave’ phenomenon. In 1890 a shipload of children were transferred to the Cape from the Royal Navy base at Aden. These children were seized from a slave-trader ship by the Royal Navy off the high seas of North Africa. The slavers had captured these children from the Oromo in Somalia. When the children were brought to the Cape, the enforced indentureship era was over and instead the children were sent to further their education at the Lovedale Mission in the Eastern Cape. After this some at their request were repatriated but most stayed on and integrated into the South African population. Our great outstanding intellectual and fighter for liberation, the late Dr Neville Alexander’s grandmother was one of those Oromo children. Also linked to the ‘Prize Slave’ story is the fact that the vast majority of Royal Navy sailors making up those patrolling the high seas along the African coastline, were in fact African sailors – either Kroomen or Siddis from West Africa and East Africa respectively. They were based at the Simonstown dockyard for almost 100 years. These sailors lived here and they died here and they married and had children with local women. Their gravestones remain as markers in Simonstown boldly emblazoned with the word KROOMAN denoting that they were from the Kru tribe. Some helped to build the Royal Observatory. Our late great professional dancer and choreographer Christopher Kindo was a descendent of the Kroomen. Many in Cape Town share this heritage. Then there are those we call the Manillas – the refugees from the revolutionary uprisings in the Philippines in the latter half of the 19th century who were part of a global diaspora spanning 30 years of upheaval in that part of the world. They largely settled in Kalk Bay but as time passed their descendants spread across Cape Town. Many today carry their surnames such as Fernandes, de la Cruz, Flores, Manuel, Padua etc. Filipinos themselves were of mixed ancestry including Chinese, Indian, Spanish and Indigenes and here in South Africa they inter-married with descendants of an array of indigene Africans, and with diverse slaves, indentured labourers, Kroomen et al. Post the emancipation from slavery in 1834 a labour crises developed in the Cape so that in addition to ‘Prize Slaves’ being used as cheap indentured labour, Cape farmers were assisted to bring in in indentured labourers from Lesotho, Botswana, Mozambique, Malawi and Zimbabwe. Huge numbers of these economic migrants settled in the rural areas and farmlands and largely integrated into the populations labelled ‘Coloured’ in those areas. As migrations from the Eastern Cape to meet the need for both farm and urban labour also grew, so new locations sprung up and over time the African indentured labourers integrated with amaXhosa labourers in the Western Cape as well as with Sotho, Tswana, Korana and Xhosa communities elsewhere. The amaXhosa relationships with the Khoena in the Western Cape go back in time to before European explorers set foot on the shoreline-frontier, and the stronger presence in the Western Cape goes back to around 1700 when European cattle raiders first engaged the Khoena-Xhosa communities. Since then ama-Xhosa made their way into the Cape colony and this picked up during the so-called frontier wars when prisoners of war were interred in Cape Town and labour gangs were brought to the docks. They too inter-married and had children across the ethnic lines demarcated by officialdom. There had also always been inter-marriage between Khoena, San and ama-Xhosa as attested by dna studies and by isiduko records. Indentured labour, followed by migrant labour systems, resulted in much crossing of tribal and clan lines and Camissa was embraced and Camissa embraced in return. Over the entire 18th and 19th centuries there was a constant trickle of passengers of colour who migrated to the Cape to start new lives. Those that stood out the most were passenger Indians and Bengalis who came to the Cape and applied themselves to all sorts of trades from shoe-making, tailoring and barbering to running fruiterers and general dealerships. By the 1860s indentured labour became the greatest lure to South Africa from the Indian sub-continent and Sri Lanka and thousands of labourers were brought to work on the sugarcane plantations of KZN. In the late 19th century and the early 20th century Africans in diaspora as a result of slavery and now in the USA, the Caribbean, Latin America and Europe made their way by sea to the Cape Colony as part of their voyage of self-discovery. Many settled and got married and engaged in the exciting world of politics of that period. Henry Sylvester Williams from Trinidad and Tobago comes to mind and the larger than life flamboyant Zacharia Perigrino too – strong Pan-Africanists. With all of these rich threads in our heritage we would be fools to not want to trace the cultural contributions to who were are today. Our base in the indigene Khoena and San, and in other indigene Africans too, is enhanced by these different tributaries that resulted in a new creation in Africa and of Africa. Not to be forgotten were the many non-conformist and rebel Europeans who crossed the boundaries of race and colour and chose to assimilate into the Camissa Footprint. While many children were born of violence and abuse towards women of colour, there were many, many, wholesome relationships of love and care across the boundaries of colour where couples paid a huge price in social stigma and aggression. We should not be one-sided in our view of our past. Already by the time of the two governors van der Stel, who were of slave and European lineage, the ugly face of racism had began to be entrenched at the Cape – whereas prior to this the most of relationships at the Cape crossed the colour-line. The Camissa embraced all of these and we are challenged to rediscover the Camissa in us and to celebrate our wholeness at this time of the year when we focus on our rich heritage. Our Indigene forebears at a time of assault and all sorts of pressures reached out to these other victims of colonialization and the slave trade and the integration processes became part of the strategy for survival. Our lack of acknowledgement of this part of our heritage needs to be addressed in our heritage discourse as does many more elements lost between the cracks and noise. Migrations forced and voluntary, by people of colour, still flow across our shoreline frontier and continue to enhance our society. Camissa will embrace these too and in time these will embrace Camissa. We need to be careful of bigotry, xenophobia, racism, tribalism and ethno-nationalism and nativism. This is all cut from the same poisonous cloth. This is not heritage and the difference between these and heritage should never be confused. We have many pathologies that play out among us in antagonisms between various groups – the artificial black and bruin arguments are a part of these. Most often when closely examined, one finds ideologically skewed understanding of history and false social constructs that are revived over and over again. May all on this heritage weekend stop awhile and think about the ties that bind us, and celebrate your heritage / our heritage – whether African in all its diversity from amaXhosa, Khoena, San and Camissa to Venda, Lembe and Korana – or Afro-European celebrating the best of European diversity and the Africa that you and yours embrace – or Afro-Asian celebrating the meeting of the deep ancient values of eastern diversity and the equally deep spirit of Ngoma and Ubuntu of Africa. Have a great Heritage Day.